Sometimes, or most of the times, ideas concieved may not be put into action instantaneously. Most of the times these ideas fade away into the thin air, but some how gate reflected and are put into action by those who may have developed a passion for them. As a co-incidence the idea of an ideal school for young learners of Sambhal was concieved by a noted businessman Maqsood Husain (b. 1901, d. 1992) who could not fulfill it in his life time. His businessman son Habeebur Rehman (b. 1955, d. 2016) cherished the idea to implement it. His dream of an excellent model english medium school in Sambhal could not be fulfilled in the heydays of his life initially due to the business compulsions and subsequently when he finalised the programme of putting his dream into action he wason the way to his heavenly abode. Finally the idea was put into action by other sons of Maqsood Husain. Led by Mr. Irfan Husain, the eldest son of Maqsood Husain and popularly known as Babu Irfan, Mr. Ghufran Husain, Mr. Haseebur Rehman and Mr. Ajeebur Rehman and aided by their genext particularly Labeeb ur Rehman and Shakeeb ur Rehman to it themselves to fulfill the long cherished dream of establishing the school of the departed souls of the father-son duo. In no time they formed Habeebur Rehman Educational Trust, leased out their land to the trust and constructed an imposing building for the school. The school is named after the father-son duo of Maqsood Husain and Habeebur Rehman --- H.M. 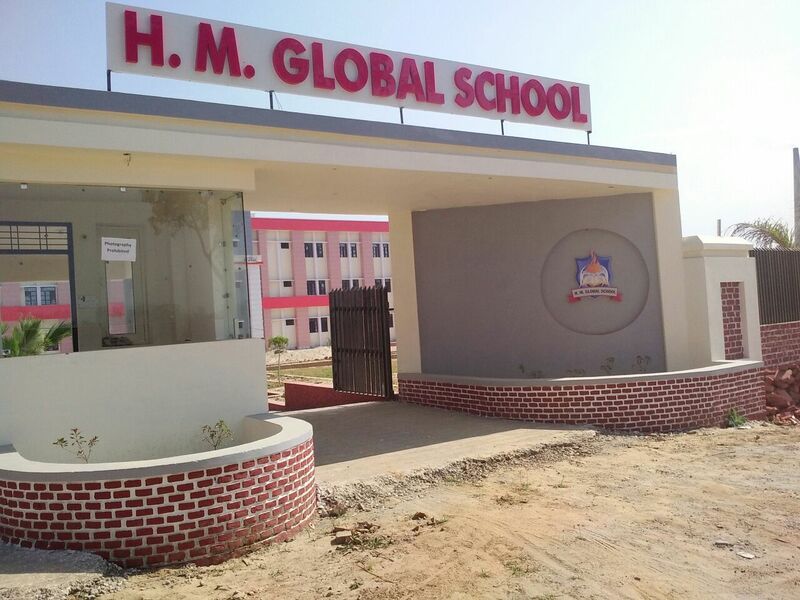 Global School (Habeeb Maqsood Global School). The school campus is spread over an area of 5 acres. The school building currently has a total floor area of 30000 sq. ft. as per the CBSE norms. Now the school is ready to spread the light of education on global pattern all around from the coming academic session commencing from April 2018. The school is run by Habeebur Rehman Educational Trust and boasts of highly qualified faculty members specially trained in disseminating education on modern trends, with Smart Classes, of achieving global standards and to carry pedagogy to the highest standards. The aim of the school is to inculcate in the young learners' minds feeling of patriotism, nationalism, rationalism and make them aware of their social responsibilities towards fellow human beings and natural environments to make them passionate for fauna and flora arround them. Thus, the pedagogy and the dissemination of information is aimed not only to raise their educational excellence but also to make them liberal, moral, emotional, aesthetic and physically and mentally tolerant human beings. The school will also strive to make them think and act in a rationale manner in all spheres of life, making them worthy and productive human beings for themselves and the nation. The school is to be affiliated to Central Board of Secondary Education, New Delhi.